Ah, the dilemma of digits. I, unlike Lisa, enjoy drawing hands no matter how gory the results become. It requires an exercise of the mind that most of us never do. To draw hands I must release any assumptions about what hands look like. I mustn’t give anything a name–finger, fingernail, palm–for that would call forth the ideas about what I think hands should look like and make it impossible to place these digits correctly in space. The clarity of sight necessary to arrive at a successful result requires me to let go of everything and focus on the task at hand. When we really see things we realize that we’ve never really looked: that our sight is clouded by all manner of assumptions, ideas and outside influences. 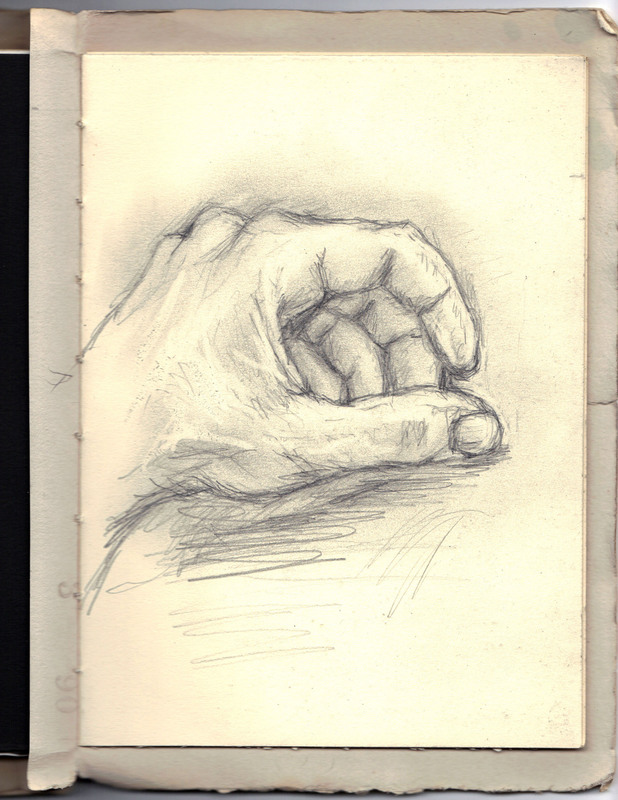 This entry was posted in Art, drawing and tagged art, Drawing, hands, pencil. Bookmark the permalink. Totally awesome, the drawing AND the words.